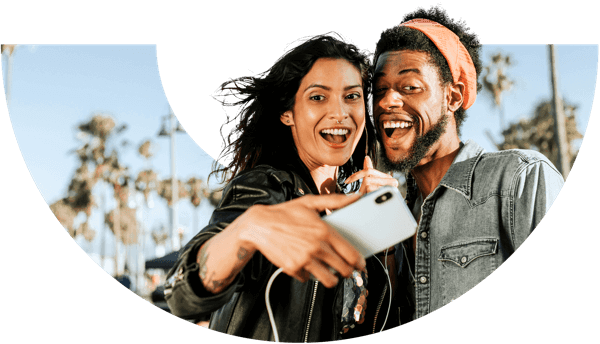 The easiest way to buy comprehensive Google Pixel 3 insurance against cracked screens, liquid damage, theft, loss, out of warranty breakdown and much more. So-sure cover starts immediately after purchase and also covers up to 3 years old second-hand phones. Why insure your Pixel 3? Google Pixel 3 packs everything that's great about Google into a sleek, modern smartphone, from its bloat-free operating system to its powerful Night Sight camera. If you're an Android fan, it's tough to think of anything more appealing right now. Beneath its sleek exterior, the Pixel 3 is a real powerhouse. It has an octa-core Snapdragon 845 CPU, 4 GB of RAM and up to 128 GB of internal storage. Add a large 2915 mAh battery into the equation and the Pixel 3 definitely isn't short on endurance either. Like the other Pixel phones, the Pixel 3 is a great tool for photographers, with a Dual-LED flash, 12.2 MP f/1.8 camera and support for 2160p 4K video recording. Our Pixel 3 insurance makes it easy to keep this tech powerhouse safe, whether you're out shopping or enjoying the weekend. As a flagship phone, the Pixel 3 is an expensive piece of technology that's becoming a popular target for thieves. Our straightforward, value-focused insurance lets you cover your Pixel 3 for theft and loss, letting you use it to the max with total confidence. You'll also be covered for accidental damage, meaning there's no need to worry if your Pixel 3 runs into screen or power issues as a result of being dropped. We even cover water damage to your phone, keeping you safe if your Pixel 3 goes beyond its built-in water resistance. Got accessories? They're covered too, with coverage for up to £100 of value if your phone gets lost or is stolen. With a plain-English, legalese-free agreement, you'll know exactly what you're getting before you make any commitments. Need more information? Read on. Losing your Pixel 3 can be a hugely frustrating situation, especially if you rely on your phone to keep in touch with friends, family and colleagues. Our top rated rated smartphone insurance makes it easier to bounce back after your device is lost, stolen or accidentally gets damaged. Losing your Pixel 3 can be a hugely frustrating situation, especially if you rely on your phone to keep in touch with friends, family and colleagues. Our top rated smartphone insurance makes it easier to bounce back after your device is lost, stolen or accidentally gets damaged. Worried about losing your Google Pixel 3? We're here to help. Our hassle-free claims process (and our UK-based claims team) makes it fast and easy to get a replacement if your Pixel 3 goes missing or is stolen while you’re out and about, running errands or traveling abroad. Insuring your smartphone shouldn't be complicated or costly. Designed to make protecting your Pixel 3 as simple as possible, our affordable insurance cover is designed to lower the stress of using a high-end flagship smartphone. We've got you covered for loss, theft and accidental damage. Our Pixel 3 insurance even has cover for up to 90 days of global travel, letting you use your smartphone with confidence while you're on holiday. We even protect you from unauthorized network charges of up to £1,000, as well as for lost or stolen accessories with a value of up to £100. With an aim of providing a replacement or repair in 24-72 hours of receiving your claim, our team is just as lightning fast as your smartphone. Better yet, we provide a range of rewards, including up to 80% cashback every year if you and your connections don't make a claim. Let's get started!